While Google’s Pixel 4 and 4 XL are months away from their official release, that hasn’t stopped the phone from getting leaked, and for concept creators to create renders of the handset. This newest concept render is from @PhoneDesigner, who created white versions of the Pixel 4 and 4 XL. The renders for the 4 XL feature a hole punch display with dual front-facing cameras. There’s are slim bezels at the top and bottom with what might be a forward facing speaker at the top. The rear also features a dual camera setup with a dual LED flash. 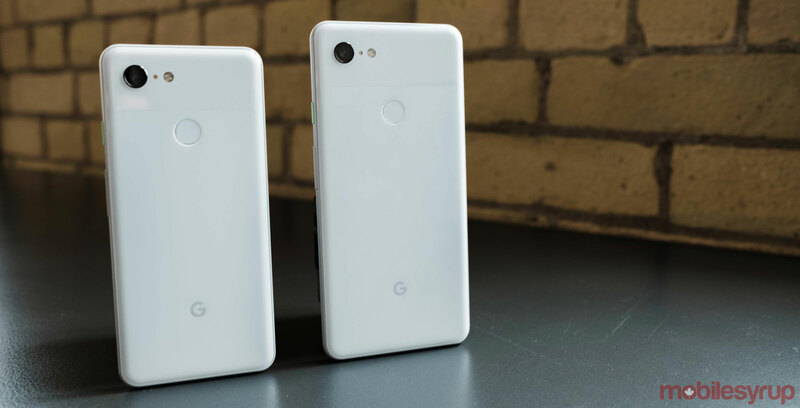 The Pixel 4, on the other hand, looks nearly identical, except with single shooters on the front and the back. Both phones lack a physical fingerprint scanner, which likely indicates that Phone Designer believes the devices will sport in-display fingerprint scanners. Phone Designer’s render seems to come from the sketchy 4 XL design document that was leaked a couple of weeks ago. Phone Designer also created a render of an even smaller Pixel handset that looks similar to the size of the Palm Phone, which features a 3.3-inch screen size. This handset could be for the user who prefers smaller devices, or for those who want a smaller device to accompany their larger handset. What do you think? Do you like Phone Designer’s render of the Pixel 4 and 4 XL? Would you prefer a newer design, such as a Pixel handset with a curved display and a pop-up selfie camera?